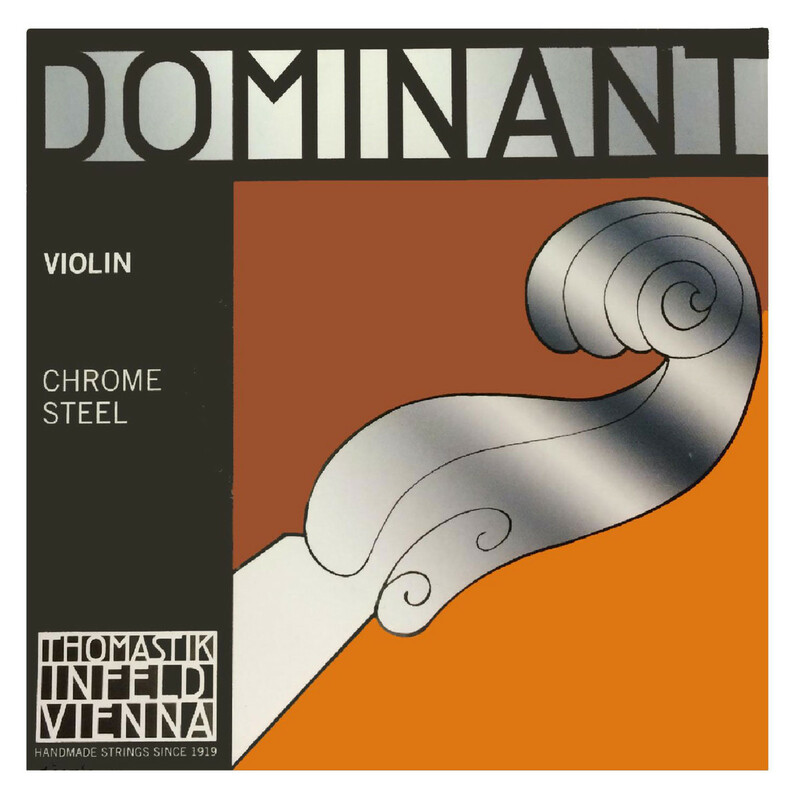 The Thomastik Dominant 1/4 Violin E String brings a great blend of warmth, brilliance and clarity to your playing. The Dominant strings feature a chrome steel core that produces bright tones with fantastic sustain. This E string has been left unwound for maximum clarity. The string is designed for 1/4 size violins, so will naturally bring forward the high pitched harmonics. There is also a controlled resonance provided by the violin size, so the Dominant string will have a clear and strong voice.